Every kitchen needs good knives and Farberware knives are super sharp and can go right into the dishwasher without rusting! This Japanese Steel Cutlery Set comes with everything you need to slice, chop, dice, and cut. It comes in a beautiful wood block that looks amazing on any countertop and keeps all your knives handy for your kitchen creations. The Farberware Knife Armor Set includes an 8” chef knife, an 8” bread knife, a 5” santoku knife, a 5.5” serrated utility knife, a 3.5” paring knife, and kitchen shears, plus six 4.5” steak knives to set out on your table for dinner. Farberware knives feature high carbon stainless steel blades for precision and long-lasting durability. The ergonomically designed lightweight handles are comfortable for repetitive cutting and provide superior non-slip control even when wet. There is no substitute for a great set of knives! Using low quality knives puts your hands and fingers in danger. I love the grip that Farberware knives provide. The Farberware Knife Armor Cutlery Set looks fabulous in my farmhouse kitchen and will go great with any decor. I love the compact design of the wood block since I have a small kitchen, and this wood block is about an inch smaller in width than my last set of Farberware knives. This is a great set! I have seen the Farberware Food Huggers advertised but had never tried them, so I was excited to give them a try. With just two of us living in our home, we often use just part of fruits and vegetables when we're cooking. Food Huggers are a great way to save the other part without wasting plastic baggies. They are so easy to use! 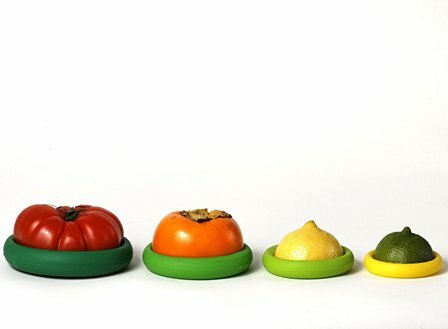 Just press your cut fruit or vegetable into the Food Hugger and it simply hugs around the food to keep it fresh longer. They come in a set of four different sizes so you just choose the one that best fits your food. 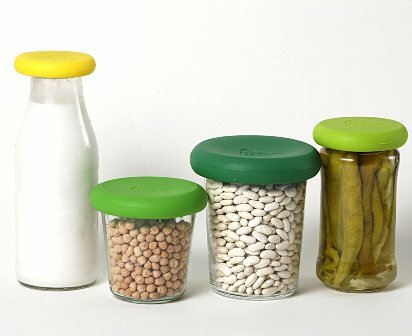 Food Huggers are made from food safe, BPA-free silicone, plus they are dishwasher safe, making clean up quick and easy. But Food Huggers are not just for keeping your fruits and vegetables fresh after cutting! They also fit over the top of glass jars, glass bottles, tin cans, aluminum cans, and more! Food Huggers will fit on any round store-bought food container plus they even work on mason jars (which I seem to be accumulating a lot of since my kitchen is a farmhouse theme). I am totally sold on Food Huggers and they come in several great color arrays. Plus, each set of four costs under ten bucks. They are durable and will last for years to come, whereas I would have spent ten bucks on just two boxes of baggies that would be tossed within a couple months. Make your kitchen routine flow better and faster with great products from Farberware. Shop today for these and more great kitchen essentials at Amazon.com.